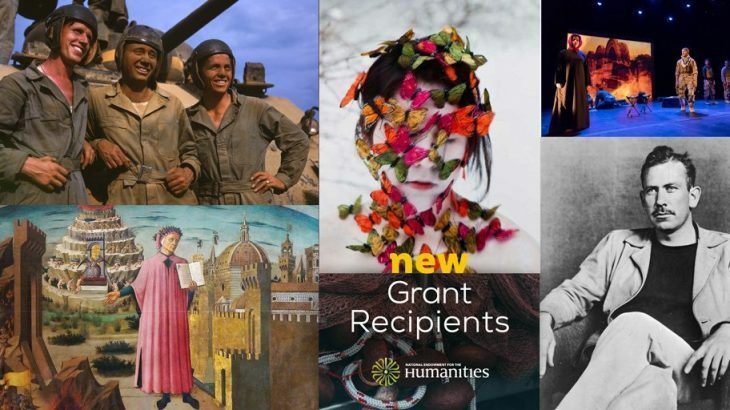 The Sounding Spirit initiative has received a second grant from the National Endowment for the Humanities (NEH) to support its pioneering work in digital scholarly editions. The $58,230 grant from the NEH’s Humanities Collections and References Resources program will support a one-year planning process that will include the pilot launch of a digital library that will eventually make hundreds of volumes of spirituals, gospel music, shape-note hymnody, and words-only hymnals accessible to the public. The digital library will accompany Sounding Spirit’s annotated facsimile editions of five influential but currently inaccessible books of sacred southern vernacular music made possible by an NEH Scholarly Editions and Translations grant the Emory Center for Digital Scholarship (ECDS) project received in the fall 2018. The Southern Baptist Theological Seminary Archives and Special Collections. As public and private institutions with a range of approaches to digitization and digital archiving, this expanded project team will first draft and vet processes for digitization and ingest that meet the partners’ diversity of institutional needs before launching a pilot site featuring twenty significant volumes from partner collections. This planning work will be shared through a publicly accessible white paper and at scholarly meetings to support other teams embarking on related consortial digitization, annotation, and collection work. Sounding Spirit’s digital library and scholarly editions will be built using Readux, a state-of-the-art platform developed at ECDS enabling rich engagement with digitized books. Jesse P. Karlsberg, Sounding Spirit editor-in-chief and ECDS senior digital scholarship strategist, will direct the planning process, joined by ECDS’s Meredith Doster, Allen Tullos, and Jay Varner. Emory Libraries and Information Technology Services (LITS) scholarly communications expert Melanie Kowalski and digitization team leader Kyle Fenton will contribute to devising best practices for the digitization and ingest process. Digitization and content consultants from each of the four partner archives will round out the project team. This grant will expand the scope and reach of the Sounding Spirit initiative which is already encouraging greater attention to the foundational role of print in key genres while providing resources for still active communities of practice for whom these texts remain highly meaningful. The pilot Sounding Spirit digital library website will feature songbooks that exemplify the wide variety of form, contents, and presentation that shaped the American landscape between 1850 and 1925. Each grant partner will contribute five volumes to the site, representing both their collections’ strengths and an important cross section of the texts’ significance, influence, rarity, and accessibility. While project liaisons from all partner institutions will begin their collaborations on the planning grant later this spring, Sounding Spirit’s core team is soliciting proposals from prospective volume editors for editions of gospel songbooks or hymnals published between 1850 and 1925 representing Black or Native American sacred music making. Prospective editors can read the full call on the Sounding Spirit website and can contact managing editor Meredith Doster with questions. stories CFP, digital humanities, ECDS, grants, NEH, Readux, Sounding Spirit. permalink.